A common surname makes it very difficult to confirm the identity of a person in genealogical records. When you have a surname that is also an extremely common first name, the degree of difficulty for conducting genealogical searches is exponentially higher. Such is the case with the research on a man named Steven Van Rensselaer James who lived from 1817 to 1902. 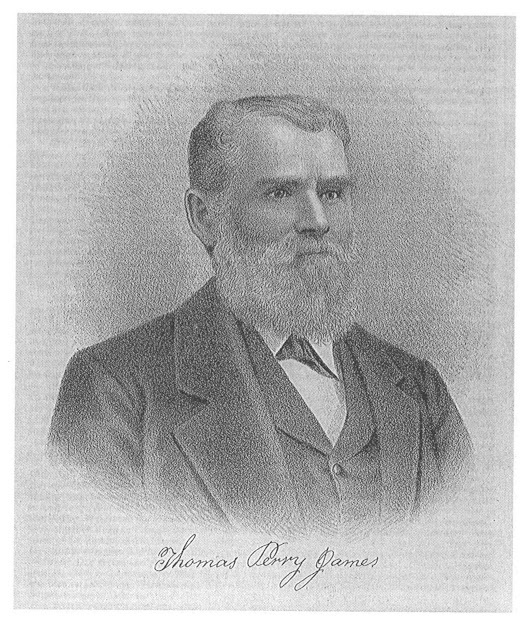 SVR James was born on February 3, 1817, in New York. He married Elizabeth King about 1841 in New York and they had two children together, Mary and Mark. Elizabeth King was the daughter of Josiah King and Abigail Dickinson. Elizabeth King and the son named Mark James died in New York probably around 1842. Steven moved to Walworth County, Wisconsin before 1846. He married Dorcas Ann Kenyon in 1847 and they had two children in Walworth County. Before 1853, SVR James moved his family to Warren County, Iowa. He and Dorcas had seven more children in Warren County. He died on July 7, 1902, in Palmyra, Warren County, Iowa, having lived 85 years, and was buried there. Our goal has been to identify the localities were vital events occurred in New York in the hopes of identifying the parents of SVR James. So far we have been unable to locate a death certificate, an obituary or a biography. All of the records located for his children indicate only that he was born in New York. We have been unable to locate any record that localizes his birthplace or names his parents. There are definitely more records to be explored but it helps to approach genealogical research with a meticulous analysis of all of the facts. 1817- BIRTH: The gravestone of SVR James gives his date of birth as 3 Feb 1817. All of the census records for SVR James give his birthplace as New York. The census records from 1880 forward state that the birthplace of his parents was Rhode Island. Almost nothing is known about his early life. 1841 -MARRIAGE: SVR James married Elizabeth King in New York about 1841 when he was 24 years old. One family tree states that the marriage occurred on June 13, 1841 in Byron, Genessee County, New York but they have no source for that marriage. Determining the location of the first marriage of SVR James has proven to be quite illusive. The timing of New York vital record keeping laws also increases the degree of difficulty. County and town clerks were not required to record marriages until well after SVR James had left the state. Even without a source for the marriage, Byron, Genessee County, New York records should be explored for members of the James family that show up there from 1810 to 1900 for possible connections to SVR James. 1842 BIRTH OF CHILD: SVR James and Elizabeth King had a daughter, Mary Elizabeth James that was born on April 14, 1842, in New York. She married Sanford William Provolt on May 26, 1867, in Palmyra, Iowa. They had six children in 12 years. She died on July 20, 1906, in Stroud, Oklahoma, at the age of 64, and was buried there. 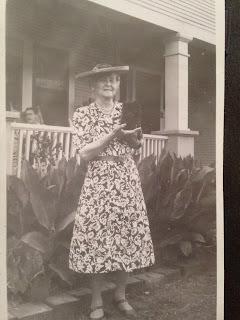 Her obituary only states that she was born in New York without providing a city or a county. Perhaps her descendants have a more precise record of her birthplace in their family records. Her husband was a Union veteran and received a pension. The fact that Mary died first in 1906 and Sanford died in 1909, makes it less likely that the pension file would contain useful facts about Mary. However, the pension file should be obtained and reviewed. 1842 BIRTH OF CHILD: Some trees state that SVR James and Elizabeth King had a son Mark E. James that was born in 1842 in New York and passed away that same year. It's probably a mistake. Between transferring and renewing and updating all my trees....somehow a lot of people seem to be living and dying in Utica NY. I'm sure it is wrong. I will erase it from my tree. I'm sorry to get your hopes up. I hate brick walls. Indeed it is a brick wall. 1842-1846-MIGRATION NY to WI: It appears that SVR James relocated from New York to Wisconsin between 1842 and 1846. There is no record of his owning land in Walworth County, Wisconsin. The biography of his son, Dr. Clarence E. James states that In 1843 [SVR James] took up his abode in Warren county, [Iowa]. Records below show that this is an incorrect date for migration to Iowa but this may be the correct date for migration from New York to Wisconsin. 1846-1848- RELIGION: One intriguing fact about SVR James is that he was a devout Baptist. 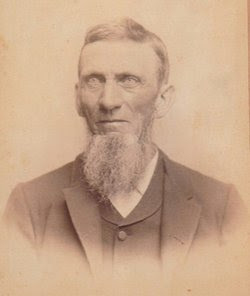 His name appears in the Minutes of the Walworth County Baptist Association as a delegate representing the Sugar Creek Baptist Church in 1846, 1847 and 1848. He does not appear in any of the minutes after those dates for Sugar Creek or for Delavan where he is known to have been residing in 1850. It is presumed based on his membership in this church that he was living in Sugar Creek Township of Walworth County, Wisconsin from 1846-1848. The other delegates from Sugar Creek become subjects for further research to see if perhaps they were associates in New York. "The Delegates of the Walworth Association met at Whitewater, on the 21st of June, 1846; and after listening to a sermon by Eld. J. H. Dudley, from Matthew 23, 18:20; proceeded to organize in Convention, by choosing J. H. Dudley, Moderator; and Spencer Carr, Clerk. Early Settlers of 1842: J.R. Kinne, Horace B. Kinne, Herman Jenkins, James and John Strong (Section 23). 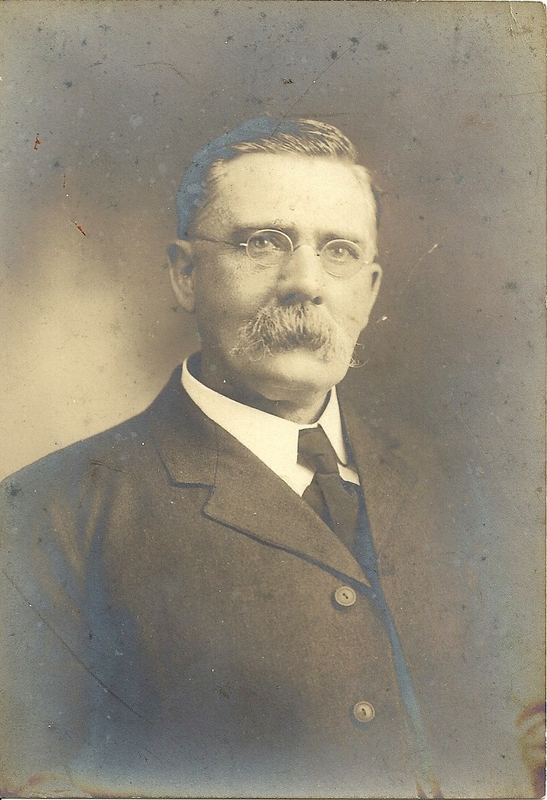 J.R. Kinne, was amongst the early settlers that were still living in Sugar Creek Township in 1882. The 1842 date of settlement is about the right time for SVR James to have either traveled with them or to have followed them to also settle in Wisconsin. Augustus and Jesse Kinne were both born in Chenango County, New York in 1808 and 1803 respectively. 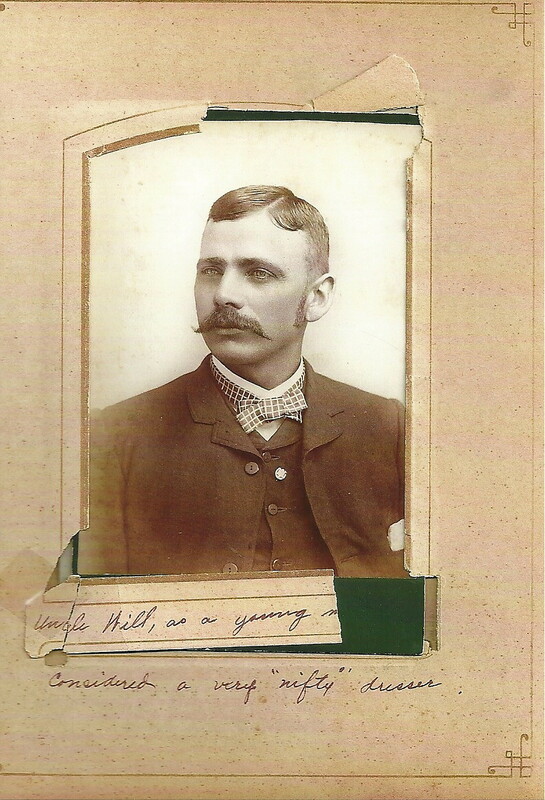 Jesse R. Kinne had three children born "in the East"--Charles, Lavina and George. The 1882 History of Walworth County has biographies of Augustus C. Kinne and Jesse R. Kinne on page 947. The parents of Augustus Kinne are not named in the biography. Jesse R. Kinne was born in Norwich, Chenango County, New York on 26 Nov 1803 and is the son of Elias and Lydia (Rundell) Kinne. The father of Lydia Rundell Kinne was Jesse Rundell. However, the only family with the surname James that is found in Chenango County in the early census records is Oliver James with a family of eight persons in 1820 in Plymouth Township. Oliver James is not mentioned in the history of Chenango. Resolved, That we deem it decidedly wrong for Christians, on any considerations, to give it approbation or fellowship, either express or implied. 4th Whereas we believe the use of traffic in all intoxicating drinks as a beverage, to be a great moral evil--Therefore. Resolved, That we recommend to all the Churches of this Association to use all Gospel means to discountenance their use and especially within the pale of the Church..."
It is difficult to draw a precise line to the place of origin of SVR James from his fellow Baptists. These resolutions by the Walworth Baptist Association give a clear picture of his spiritual and political convictions. 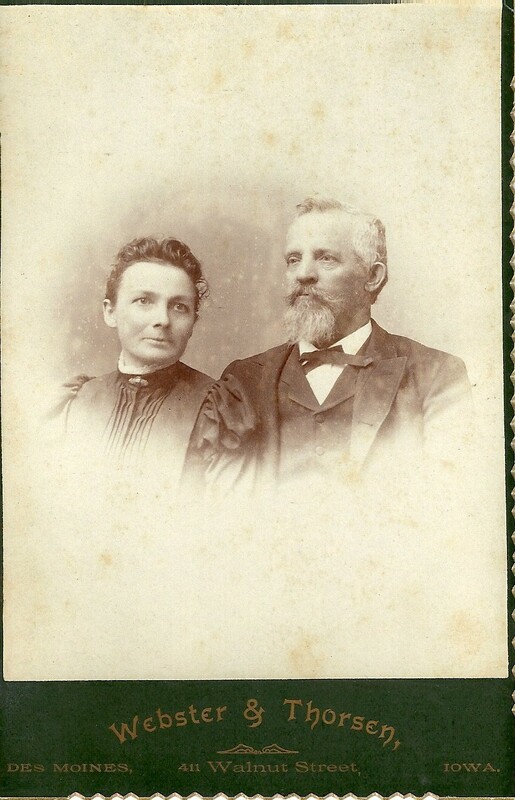 1847-MARRIAGE: Steven Van Rensselaer James married Dorcas Ann Kenyon in Walworth County, Wisconsin, on June 3, 1847, when he was 30 years old. The marriage record is referenced at FamilySearch.org in Volume 1; Page 288 of Walworth County, Wisconsin Marriage Records. The parents for Dorcas Kenyon are Gardiner Kenyon and Frances “Fanny” James who both died in Richmond, Washington County, Rhode Island in 1832 and 1837. Therefore it is possible that Dorcas Ann Kenyon was residing with her maternal grandparents, Thomas James and Dorcas Perry in Richmond Township, Walworth County, Wisconsin immediately prior to her marriage to SVR James. 1848-1853 ASSOCIATES- The census records for SVR James from 1880 forward state that the birthplace of his parents was Rhode Island. There are several persons with the surname James that came from Richmond, Washington, County, Rhode Island to Walworth County, Wisconsin. Richmond Township actually derives its name from the settlers from Richmond, Rhode Island. In fact, SVR James second wife is a descendant of these James families from Rhode Island that settled in a new Richmond Township in Walworth County, Wisconsin. 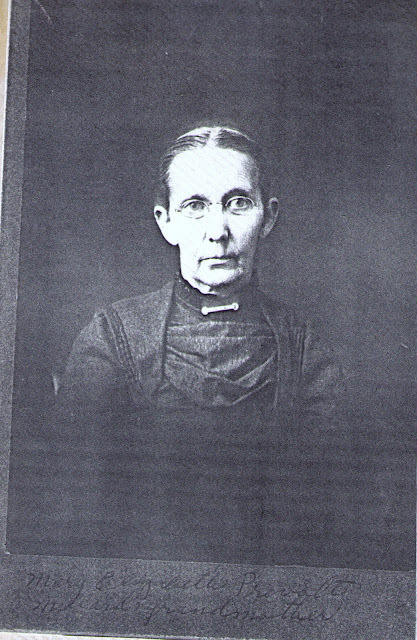 1848- BIRTH OF CHILD: His daughter Elvira F. was born on September 5, 1848, in Delavan, Walworth, Wisconsin, USA. 1850- CENSUS: The U.S. Census confirms that SVR James had moved into Delavan, the county seat of Walworth County and was working as a clerk. He owned no property. o Steven McHugh; age 17; Clerk; born New York. 1850- BIRTH OF CHILD: His daughter Emma Elizabeth was born on May 8, 1850, in Delavan, Walworth, Wisconsin, USA. 1850-1851: MIGRATION FROM WI TO IA: Based on the birthplaces of the child above and the child below, we can surmise when SVR James arrived in Iowa with his family. 1852- CENSUS: Steven Van Rensselaer James lived in Richland, Polk, Iowa, USA according to the Iowa State Census. 1853- BIRTH OF CHILD: His daughter Georgeana was born on March 24, 1853, in Warren County, Iowa. Her records have not yet been analyzed for information about her father. 1854- BIRTH OF CHILD: His daughter Emma Elizabeth passed away on May 27, 1854, at the age of 4. 1854- BIRTH OF CHILD: His daughter Fanny was born on December 27, 1854. 1856- DEATH OF CHILD: His daughter Fanny passed away on April 11, 1856, when she was 1 year old. 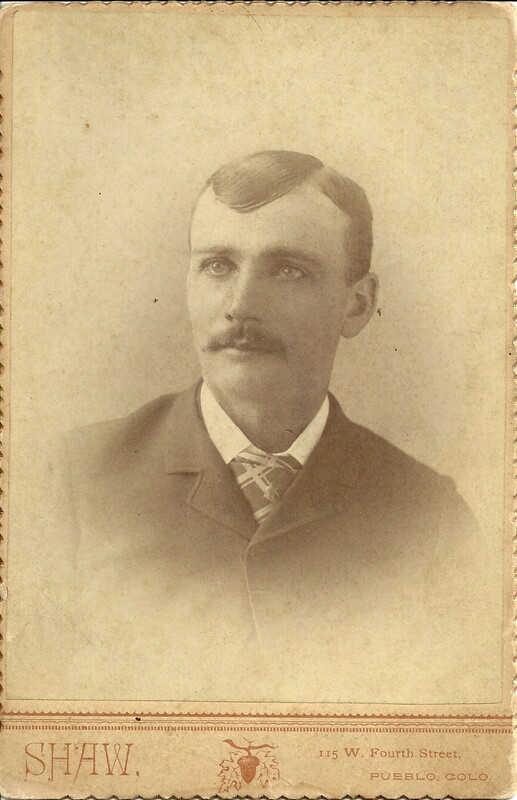 1858- BIRTH OF CHILD: His son William Thomas James was born on March 28, 1858, in Warren, Iowa. Only a few of his records have been analyzed for information about his father. 1860- BIRTH OF CHILD: His son Asa Lincoln James was born on September 9, 1860. 1862- BIRTH OF CHILD: His son Arthur John was born on July 11, 1862, in Iowa. His records have not yet been analyzed for information about his father. 1865-BIRTH OF CHILD: His daughter Bertha E. James was born on June 23, 1865, in Palmyra, Iowa. 1867- MARRIAGE OF CHILD: Mary E. James married Sanford W. Provolt in Palmyra, Warren County, Iowa on 26 May 1867. Neither of these images contain any information on the birthplace of Mary Elizabeth James. 1870- CENSUS: Steven Van Rensselaer James lived in Palmyra, Warren County, Iowa, per the 1870 census. 1880- CENSUS: Steven Van Rensselaer James lived in Palmyra, Iowa, on July 10, 1880. 1885- DEATH OF WIFE: His wife Dorcas Ann Kenyon passed away on January 11, 1885, in Palmyra, Iowa, at the age of 55. They had been married 37 years. 1888- MARRIAGE OF CHILD: Steven’s daughter, Elvira F. James married Clement Ritchie 7 Mar 1888. The Warren County, Iowa marriage register gives Steven’s name but not his birthplace. 1898- DEATH OF CHILD: His son Asa Lincoln James passed away on December 25, 1898, at the age of 38. 1900- CENSUS: Steven Van Rensselaer James lived in Palmyra, Iowa, in 1900 with the family of his daughter. Age: 83; Marital Status: Widowed; Relation to Head of House: Father in Law. 1902- DEATH: Steven Van Rensselaer James died on July 7, 1902, in Palmyra, Iowa, when he was 85 years old. Death records for Warren County begin in 1904. The source for the death date is his gravestone. 1910- On 15 Jan 1910 Elvira F. Ritchie nee Elvira F. James filed from the state of Kansas for a Widows pension for the Civil War service of her husband Clement Ritchie. It is unlikely that she would have stated where her father was born in any affidavits filed in the pension file but no stone should be left unturned. 1925- The State of Iowa conducted a census that is very valuable to genealogists because it gives the names and birth places of parents. For example William T. James, son of SVR James is enumerated in this census. He states that his father was born in New York. Usually the state of birth is the only information given as it was in this case. The 1925 Iowa Census also gives the state where the parents were married. We already knew about the 1847 marriage in Walworth County, Wisconsin. This was not new information but it is an additional source which substantiates the marriage place. Atlas of Warren County, Iowa, published by Harrison & Warner, Marshalltown, Iowa, 1872 found in Ancestry.com. U.S., Indexed County Land Ownership Maps, 1860-1918 [database on-line]. Provo, UT, USA: Ancestry.com Operations, Inc., 2010. All of these credits reference usernames on Ancestry.com.